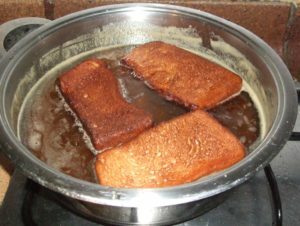 I first included this recipe for Torrijas – a sweet version of French toast or eggy-bread – in an article about Easter traditions in Spain. To read the whole article click here. To make your own torrijas follow this easy recipe and invite your friends and family round to enjoy a Spanish-style Easter treat. I’ve been told the trick is to use day old bread and whole milk. In Chipiona (in the province of Cádiz) the local sweet wine Moscatel is often used to soak the bread instead of milk. 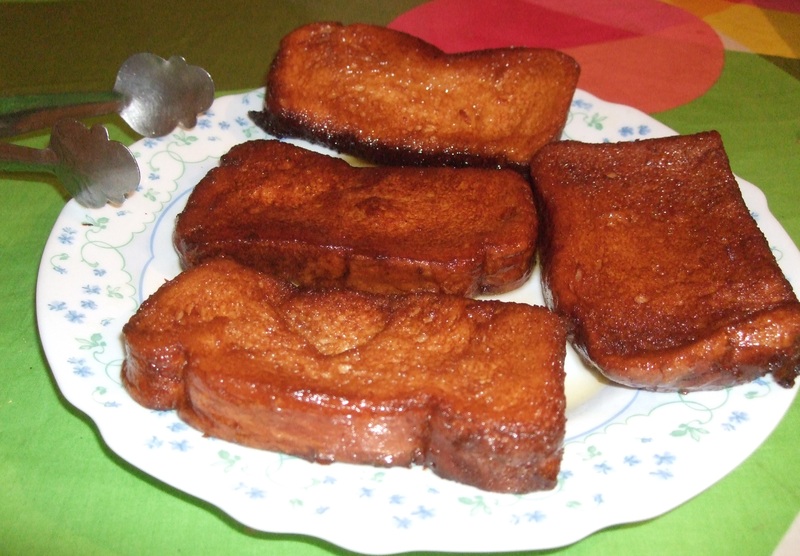 The Torrijas are fried and then bathed in syrup producing a rich, sweet and filling treat. 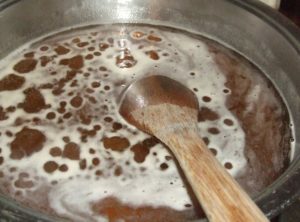 The syrup known as meloja can be made with hot water and sugar or hot water and honey with a pinch of salt. The quantity of each ingredient depends on the amount you wish to prepare. Roughly, you’ll need one piece of bread per person. They are quick and easy to make meaning that you can always make a fresh batch at short notice if necessary. Remove each slice carefully from the frying pan and place on kitchen paper to cool and drain off any excess oil. To prepare the syrup – heat a pan of water, add plenty of honey (or 3 – 4 tablespoons of sugar) and a pinch of salt. 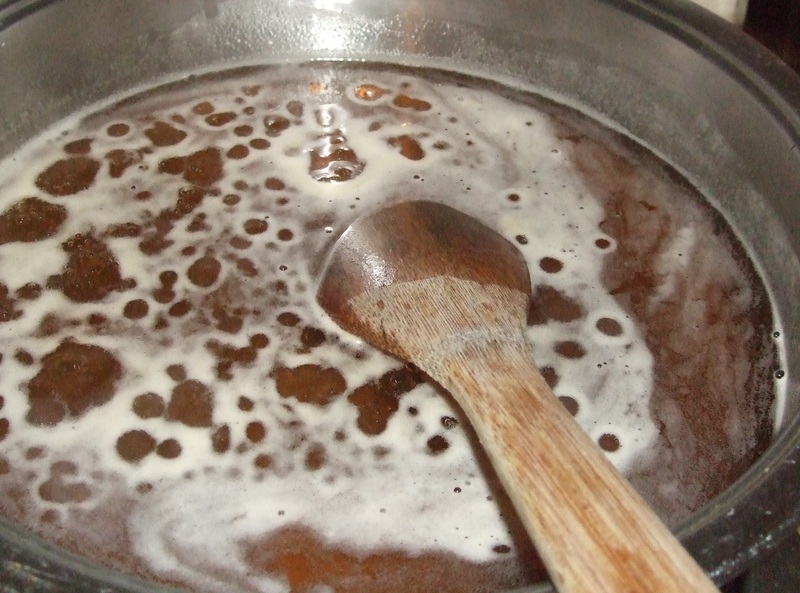 Once the mixture has reached boiling point, lower the heat and keep stirring until the syrup thickens. 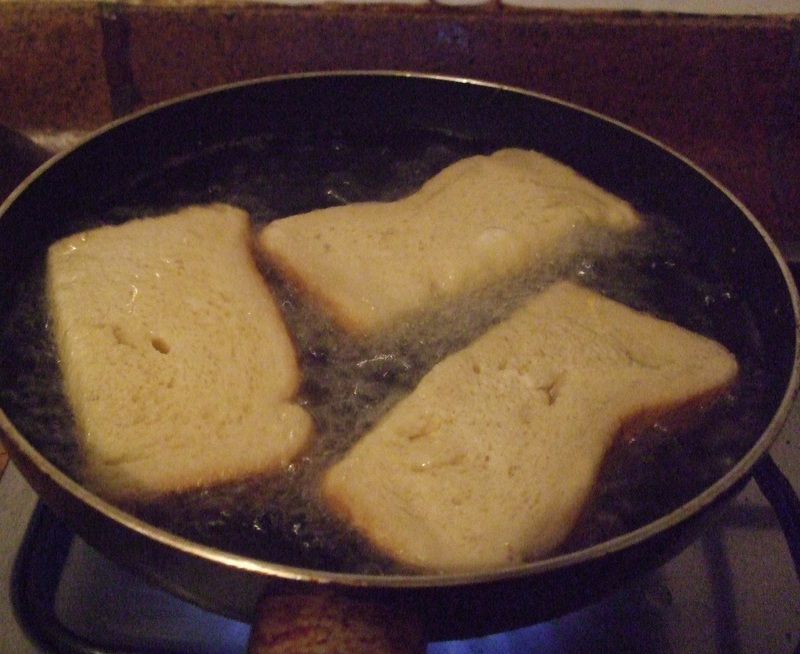 Once the bread has cooled, you can dip each slice into the hot syrup using a pair of tongs. It’s important that the bread has cooled otherwise it will disintegrate in the syrup. Put the bread slices onto a plate or a container and pour the rest of the syrup over the top so that the slices remain moist. Once they have cooled, they are ready to eat and will last for a few days if kept in an airtight container. While this might sound overly sweet, the bread gives it a savoury touch. Even though, I’m not very sweet-toothed, I have to admit I love home-made Torrijas. Variations on the recipe include adding cinnamon to the milk when soaking the bread and lemon peel to the oil when frying.